Historically, journalists have been some of the strongest partners in the fight against corruption. Their investigative work as well as the space they give to voices of anti-corruption NGOs has contributed to greater pressure on government leaders to tighten regulations and take a public stand for more transparency and accountability. But in this difficult economic climate, the media will face many challenges to maintain its independence, particularly when state advertising budget have a direct effect on media companies’ bottom lines. As European Union-funded projects continue to flood the new member countries, their publicity requirements put large volumes of advertising into the hands of state institutions. 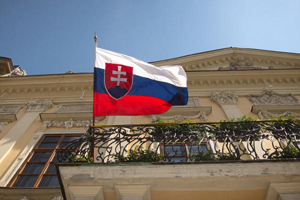 In 2012, Slovak state advertising was estimated at around three million euros ($3.8 million). Moreover, due to the exemption for TV and radio ads in public procurement laws, public officials can choose their favorite television channels without having to hold an open contest for all media. Print ads are usually cheap enough to avoid any procurement rules at all. All this is likely to tempt politicians to give more advertising to their favorite media. A recent study by Corvinus University of Budapest researchers showed just such a pattern for Hungary. Two recent national elections provided the right conditions to test this hypothesis in Slovakia, too. In 2010 the populist center-left government led by Robert Fico lost to the coalition of center-right parties under Iveta Radicova. Two years later that coalition fell apart and in early elections Robert Fico regained power. Now, with the new government being in office just over a year, we looked at the advertising data as well as the contracts between media and state bodies and a couple of large state companies. The results seem to confirm our suspicion of political bias in state advertising spending. The current Fico government redirected their ads toward friendly media outlets such as TA3 news channel, Viva radio and Pravda daily while cutting ad purchases to center-right oriented media. After the elections, the state advertising income of both TA3 and Pravda increased by over a third compared to the last year under the Radicova government. Ads given to the center-right SME or Plus 1 den dailies went down by 80 per cent. Almost the opposite happened in the previous electoral cycle. On average, the media that gained the most under center-left suffered the most under center-right, and vice versa. For instance, both Pravda and TA3 lost some third of their income after the 2010 electoral defeat of the left. Do media adjust their news coverage to the volumes in state advertising? Anecdotal evidence from TV reporters does suggest that some television stations are indeed trying to win back ad money by softening their criticism of the government. While media will continue to be a key ally of anti-corruption activists, it is important for us to keep a healthy distance from them. We need to look into media owners and their business interests carefully and also analyse advertising income for potential conflicts of interest. The media also need to feel that they are being scrutinised by the public. The last Global Corruption Barometer showed that the image of the media has taken a battering. Countries facing their biggest economic turmoil in recent years – Greece, Iceland, Spain, Italy, the US and the UK – happen to be the countries where citizens blame their media for corruption most, on par with public officials. Media in Central and Eastern Europe, on average, have a better image. We can only hope that government-sponsored ads that become a helpful lifeline do not end up influencing fair and honest coverage.